Meet the 2018-19 Miss CEO Ambassadors! We are excited to announce this year’s Miss CEO Ambassador Class. Miss CEO Ambassadors are highly-qualified student champions of Miss CEO’s mission to provide leadership training, mentorship, and career exploration opportunities to young women all over the world. Be sure to follow this inspiring class of young women as they spearhead valuable and impactful leadership initiatives in their communities this year. Aneekah is a Miss CEO Ambassador who hopes to spread leadership and confidence skills to young women in her own community. Aneekah is a senior at Montclair High School in NJ where she is the Engineering Design Captain of her FIRST Robotics team, President of Science Olympiad and involved in Math League. Beyond her math and science related extracurriculars, she is the Secretary of the Treasury of the Civics and Government Institute, a Peer Leader, founder of Art to Action, a civic and art engagement group, and Head of Hunger Outreach of her Key Club. She runs Cross Country/Track and fences. Outside of school, she is Vice Chairperson of her local library’s Teen Advisory Board, involved in Columbia University’s Science Honors Program, and a Society of Women Engineer’s NEXT Northrop Grumman Community Award Regional Recipient. She has held two jobs as a page at her local library and a tutor at the Ivy Prep Program LLC. 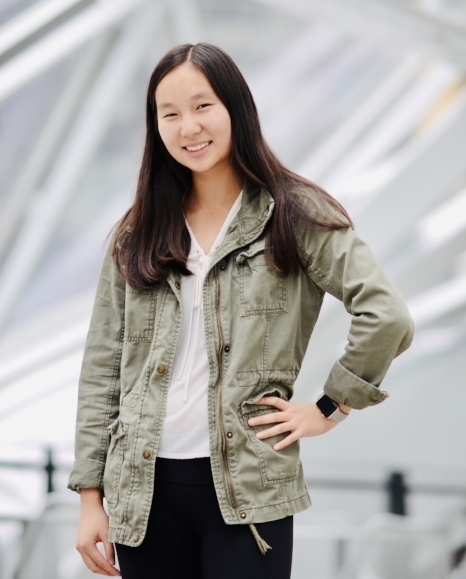 During her high school summers, she’s participated in a local university research program, Girls Who Code and US Department of State and Legacy International’s TechGirls Ambassador Program. Aneekah lives in Montclair, NJ with her parents and three siblings. In her free time, she indulges in reading fiction, loves hiking and spends time with her friends. She plans on pursuing Mechanical Engineering and Computer Science in college. Ashley is a senior at Alameda High School where she loves playing soccer, attending hackathons, and participating in clubs. Her interests in computer science first sparked through animation, and she’s continued pursuing her interests in technology as the founder and executive director of She STEMs, an organization introducing girls to computer science through hardware computing. This past summer, Ashley had been working as a research apprentice at San José State University. She has been recognized by the National Center for Women in Information Technology (NCWIT), the Mentor USA Foundation, and Education First for her contributions to the computing community. Ava is a sophomore at York Community High School in Elmhurst, IL. She is passionate about combining science, medicine, and technology to help people. Recently, she developed an app, React, that connects people to fast first aid in their community. She was the winner of the Congressional App Challenge in her district and presented her app on Capitol Hill. Ava also interned at Gilad Lab (UChicago Genetics) over the summer and learned about the technology used to read, analyze, and treat diseases in the genome. At school, Ava participates in Math Team, Science Olympiad, and Protein Club. Last year, she presented a review of VEGF-R2 (receptor that promotes tumor growth) with Protein Club at the AACR Conference. She also plays tennis and French Horn in her school band. Her dream is to go into the medical field in the future. Ava hopes to learn valuable leadership skills through the Miss CEO Ambassador program and apply them to a project that can connect girls to more STEM opportunities like the ones she has had. Chelsea Rutledge is currently a junior at Mountain View High School. She has represented her school’s dance team for two years, as well as Mountain View High School Lacrosse. Chelsea has successfully completed many service projects with her church choir youth group which have included volunteering at a homeless shelter as well as building homes in Mexico. Chelsea enjoys spending time with her friends and family and values the service that she has done and will do to make this world a better place. Eesha Chakraborty is a sophomore at Dougherty Valley High School. Aside from her academic success, Eesha is a varsity runner for her school’s cross country team as well as a top runner in track. She is the VP of a cultural club on campus to celebrate the school’s diversity. She is involved in her community through her participation in the San Ramon Valley Interact club. Eesha also does speech and debate and has competed several times, representing her school. She gives credit to her family for being her motivation. Eesha is especially close to her loving sister and adorable 3 year old german shepherd. As an ambassador of Miss CEO, Eesha’s main goal is to promote connectivity among young women, especially in her community. She strives to encourage her peers to uplift one another rather than compete, emphasizing the value of a supportive network. Working with the other dedicated ambassadors, she aims to leave a lasting impact. 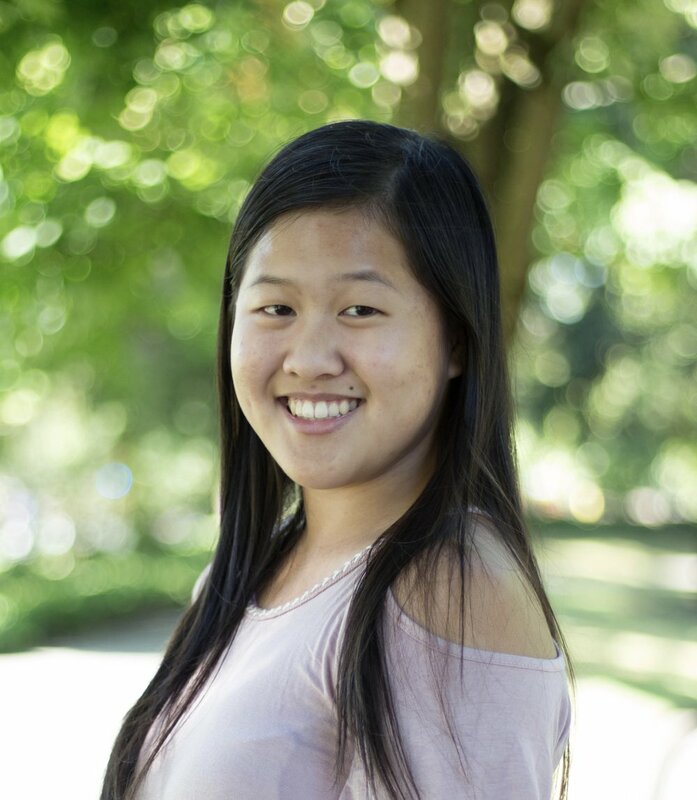 Emily Chow is currently a junior at Newport High School in Bellevue, Washington. Growing up in the Pacific Northwest, Emily has learned to love the outdoors and has spent a lot time hiking, skiing and appreciating beautiful scenery. In addition to trying to survive school, Emily plays varsity golf, attends photoshoots and travels the world. She lives life to the fullest by enjoying all the good things and spending time with people and activities that she loves. Among many other things, you can find Emily hanging out with friends or eating lots of food. Emily is beyond grateful that she is able to be an ambassador for Miss CEO and can’t wait for the years to come. Leena is very excited to be an ambassador for Miss CEO and help girls in her community learn the amazing life skills Miss CEO provides! Leena lives in the Bay Area, and is a sophomore at Leland High School. She loves math and science based subjects, and being involved at her school. Outside of school, she plays competitive soccer on a club team, and loves to volunteer in her community. At school, Leena is part of and volunteers with organizations such as the California Scholarship Foundation. In the future, her goal is to study medicine, and help people. She is very outgoing, and loves to take on any challenges that are thrown her way. She looks forward, to making a positive impact in her community, and pursuing her dreams. Leila is a junior at Scottsdale Preparatory Academy and the founder of Bridge the Gap, a youth led organization that provides inclusive and quality education to refugee children across the state. Environmentally conscientious, she serves as a City of Scottsdale project coordinator of Brick by Brick, an initiative that constructs environmentally friendly affordable housing units in low-income and indigenous areas. To further promote environmental efforts, Leila dedicates her time to researching soil restoration methods at the ASU Biodesign Institute, and is planning sustainability fairs to educate her peers about global issues. She plans to double-major in Biomedical Engineering and Public Policy. During her free time, Leila enjoys trying new cuisines and going on nature hikes with her friends and family. Manasi Soman is a junior at Hillsborough High School in Hillsborough, NJ and is excited to empower the young women in her community to be the future tech leaders of tomorrow. She is the president of her school's Robotics team and Interact club, and has a strong interest in chemistry and computer science. She interned at Columbia University under Prof. Joachim Frank (2017 Nobel Laureate) where she conducted data analysis on their newly developed technology which will be employed in developing cancer treatments. In addition, during another summer internship at a medical-software startup, she created a virtual reality game to rehabilitate patients with dementia. While working in these fields, Manasi noticed a lack of women representation and sought to help eliminate the gender gap. To promote female involvement in Science, Technology, Engineering, and Mathematics (STEM) fields, Manasi launched a non-profit organization called “Girls Create”, where K-12 girls will engage in hands-on STEM workshops in her community. Michelle is thrilled to be a part of the Miss CEO Ambassador program this year. Michelle is a current sophomore at Homestead High School. She is an officer for Homestead’s National Honor Society and a competitive taekwondo athlete. In her free time, she enjoys reading young adult literature, watching Riverdale, baking, and spending time with family and friends. Ricarda is a junior at the International School of Boston. She is active in promoting Model UN participation in both the US and Vietnam. One of Ricarda’s interests includes computer science; she has been taking Java classes for multiple years now and participates in the Technovation Challenge. Her team is currently taking their Technovation app beyond the competition. In addition, Ricarda is a Technovation student ambassador and occupies leadership positions at her school. She plans to major in psychology in college and is involved in research. Ricarda is thrilled to be a Miss CEO ambassador and is excited to become part of the community. Rishika Thorat is an avid student at Dublin High School. After attending the Miss CEO Leadership Bootcamp in the fall of 2017, Rishika knew that she wanted to get more involved with Miss CEO. She is delighted to be an ambassador for Miss CEO and hopes to be able to learn more about leadership and business management through this role and give back to the community at the same time. Throughout her educational career, Rishika has found that she has a strong interest in math, computers and marketing. This led her to take computer science and engineering related courses at school and join the Dublin Engineering and Design Academy. In addition to this, Rishika is an active volunteer. She has volunteered with Well Constructed, Open Heart Kitchen, Prathibha Arts Foundation, the Fremont and Dublin Main libraries and at events at Dublin High School. A fun fact about Rishika is that she is a social media enthusiast, leading her to take on the role of an Instagram Teen Ambassador. This role allows her to connect with others from different locations and backgrounds and she hopes to be able to benefit Miss CEO with this role. Sejal is a junior at Dougherty Valley High School. She is a dual-sport athlete in softball and basketball. Sejal plays softball competitively on a travel team as well. Sejal is a member of the DVHS Leadership program. This year, her focus is Club Recognition and Management (our campus has over 150 clubs). Last year (2017-2018) she was the Class President. Sejal is also involved in clubs such as National Honors Society and California Scholarship federation, both of which are volunteering clubs. Through these clubs, she loves to tutor young students! In her free time, she loves to spend time with friends and family, stay active, read, bake, and watch Netflix. As a Student Ambassador, Tiffany aims to inspire girls from Oakland to become Miss CEOs in their lives. She passionately serves as the Associated Student Body (ASB) President for a second year in a row, where she works to reestablish her school's Student Government while she runs large-scale events and projects. Tiffany intends to major in Political Science and join Associated Students in college. Erica is excited to be part of the Miss CEO Ambassador Program and promote leadership among the next generation of girls. She believes that it is crucial for young women to be properly equipped with leadership skills. Erica is a passionate technology entrepreneur, who wants to use innovation to make a social impact in the world. She is the co-founder and the current executive director of Bytes of Code, a youth-led organization aimed to educate young females to become future leaders in the STEM field. In addition, she has co-founded 2 tech startups, SmartShop and Alertive.co. She loves to encourage more high school students to have initiatives that can change the world. Aside from running her initiatives, she enjoys sketching, playing with her dog, and binge watching Netflix TV series. Angelina Kuo is a senior at Henry M. Jackson High School in Mill Creek, WA. There, she is involved in multiple clubs such as National Honor Society and DECA, as well as the founder of her school's Girls Who Code club. Angelina is passionate about bringing more women into the tech industry. She also leads as a communications and partnerships director for a coding non-profit, code+Charms. Angelina hopes to study business and information technology in college. In her free time, she also enjoys hiking, swimming, and playing tennis. Claire is a current junior at Mason High School. In her local community, she started the first ever local TEDx event in the area. She led 20 students/ teachers and mentored 15 student speakers. In her free time, she enjoys playing the viola and dancing. 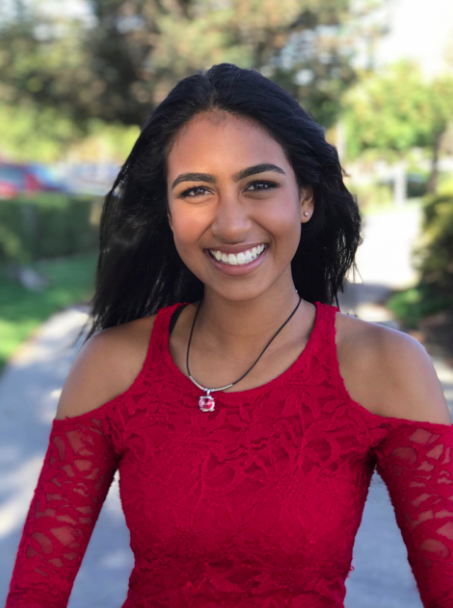 Aanchel Shimkhada is a junior at Cupertino High School, who is interested in computer science, biology, and humanitarian work. Aanchel has participated and won awards in multiple high school level hackathons, and she is an active member of the Girls Who Code and the Women in Tech clubs at her high school. Along with all of her academic work, Aanchel is co-founder and president of a non-profit organization called Magic of Help, which focuses on providing access to education and humanitarian assistance to children globally. Sahana Nellian is a freshman at the Quarry Lane School, who has a keen interest in liberal arts and a passion especially for writing and speech and debate. Ever since a young age, she has loved books as well as the sweet, antique smell of bookstores, compelling her fondness for words as well as the English language. She describes herself as a girl who loves cozy sweaters, peppermint hot cocoa, cactus, and fairy lights. She’s also addicted to shopping and taking aesthetic pictures, whatever season it may be. Many find her as one who enjoys the arts because of her zeal for singing, drawing, painting, calligraphy and bullet journals. Sahana is a dedicated individual who enjoys giving back to her community as well as helping others, which is why she spends time and joins programs, such as Miss CEO, which allow her to do so. She aspires to one day become the first ever lawyer-neurosurgeon and improve the quality of life for others through both of her careers. Additionally, the best way to identify her is as the girl who always wears her trademark smile. Anwesha Mishra is a sophomore at Branham High School. She is part of her school’s leadership ASB program. Anwesha’s passion is robotics which she has been doing for 6 years. She plays varsity field hockey and am part of a competitive club team. She loves to work with kids and teach them robotics at the local library. She combine’s her outgoing personality with her love for technology by being involved with STEM in her community. Anwesha also takes part in her school’s NHS program. Lisa is excited to be elevating her leadership skills with Miss CEO to launch empowering opportunities for aspiring youth in her community! As a senior at Summit Tahoma High School in San José, she spearheads various leadership and community engagement initiatives. Beyond actively serving on Student Council and the California Scholarship Federation, Lisa is the Founding President of Culture Club and President of Volunteer Club on campus. Much of her time outside of school is spent at City Hall and local community organizations where she is dedicated in establishing policies and programs for youth. In her free time, Lisa enjoys winning tennis matches, playing the piano, and exploring new places with her family! Lisa aspires to pursue community leadership and become a physician in the future. As a Miss CEO Ambassador, she is thrilled to be enriching her passions through amplifying skill-oriented and career-based efforts.